Scientists based at the Centre for Ecology & Hydrology's research site at Wallingford have launched a new website giving detailed information on land use, topography, geology and rainfall patterns for over 1200 river basins across the UK. For more information visit the new Catchment Spatial Information pages on the National River Flow Archive website. River Basin Management Planning is one the themes around which CREW coordinates research and other activity between policy makers, their implementation partners and researchers. The CREW project ‘Investigating the sensitivity of river wetted habitat to changes in flow’ will review current literature and analyse existing data to determine the sensitivity of wetted river channel habitats to changes in flow. The Environment Agency manages the 7 River Basin Districts in England. The Catchment Data Explorer supports and builds upon the data in the river basin management plans. Information on river levels in England is available from the Flood Information Service on the GOV.UK website. The Environment Agency carries out maintenance, improvement or construction work on Main Rivers to manage flood risk. See the ‘What’s in your backyard’ section for information on Main Rivers. The ECRR is a European network consisting of national centres, organisations, institutions and individuals bound by their mission to encourage and support ecological river restoration throughout greater Europe. The website includes information on events and publications. See the Rivers section of the website for information on the work of the Freshwater Habitats Trust. Details of projects such as the River Thame Catchment Project and the River Ock Catchment Project are also available. The IUCN National Committee UK has sponsored the River Restoration and Biodiversity project led by Scottish Natural Heritage. The 2016 report ‘River Restoration and Biodiversity’ has been published jointly by IUCN NCUK and Scotland’s Centre of Expertise for Waters (CREW). It describes the importance of rivers in the UK and Ireland for biodiversity, summarises the damage that river habitats have sustained over many decades, and discusses ways in which restoration can bring benefits both to wildlife and to human society. The Improvement Programme for England’s Natura 2000 (IPENS), supported by European LIFE+ funding, is enabling Natural England, the Environment Agency, and other key partners to plan what, how, where and when to target their efforts on Natura 2000 sites and the areas surrounding them. The River Restoration theme plan is part of the IPENS programme. Natural Resources Wales is responsible for water quality in rivers and producing the River Basin Management plans. See River levels online for a map showing river levels at monitoring stations. The Rivers and Fisheries Trusts of Scotland is a leading independent freshwater conservation charity representing Scotland’s national network of rivers and fisheries Trusts and Foundations. RAFTS works closely with the Rivers Trust, which represents the network of Trusts in England and Wales. RAFTS has published a series of guidance notes ‘Managing River Restoration: Gearing Up For The Management of River Restoration’. The River Restoration Centre is the UK's 'expert information and advice' centre for all aspects of best-practice river restoration and catchment management. Knowledge Exchange - providing a focal point for the exchange and dissemination of information and expertise. Technical Advice and Assessment - providing expert input to site-specific technical issues and national initiatives through experienced river restoration practitioners. Training and Guidance - developing, updating and providing resources, courses and practical learning opportunities to the growing UK restoration network. See the River Restoration Factsheets which have been created to guide you through considerations at all stages of river restoration projects, from planning to monitoring. The National River Restoration Inventory (NRRI) is a database that the RRC manage to help achieve the aim of exchanging and disseminating information on river restoration. It contains detailed information on best practice case studies from across the UK. 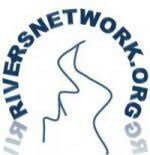 Rivers Network is a web platform that aims at exchanging experiences and river stories. The world map covers 173 river basins and coastal areas, themselves divided into 1167 sub-basins. Each sub-basin has its ‘blog’ in which ‘stories’ of rivers are stored with links to websites, videos or reference documents. River restoration case studies RiverWiki tool is for sharing best practices and lessons learnt for policy makers, practitioners and researchers of river restoration. This site is funded through the Environment Agency (England) and managed by the RRC (UK). The database is an interactive source of information on river restoration schemes from around Europe. The RiverWiki has been developed by the RESTORE partnership for sharing knowledge and promoting best practice on river restoration. See the SEPA website for information on river basin planning in Scotland. The Water Environment Fund has provided funding to projects that aim to help restore Scotland’s catchments from the source, through rivers, lochs and floodplains, into estuaries and out to sea. The Thames Rivers Trust is a registered environmental charity dedicated to improving the River Thames and its tributaries for the benefit of people, wildlife and the environment. This report includes a summary of the RFCC's '25 Year Approach' with a strong environmental theme including Natural Flood Management, SUDS and floodplain and rivers restoration. This report on Natural Flood Management in the region with good practice case studies and a range of advice on how to fund and deliver projects. Totally Thames, presented by the Thames Festival Trust, takes place over the month of September and brings the river to life via an exciting season of arts, cultural and river events throughout the 42-mile stretch of the Thames in London. Environmental charity established in 1995 to secure the preservation, protection, development and improvement of the rivers, streams, watercourses and water impoundments in the Westcountry and to advance the education of the public in the management of water. The Wild Trout Trust is a conservation charity that stimulates hands-on, in-the-water projects, helping others to help themselves with habitat improvement in and around rivers and lakes. The Wildlife Trusts website includes a section on Water including Natural Flood Management, improving water quality and the catchment-based approach. The World’s Rivers section includes information on river management as well as river profiles.